This is not a sponsored post but does contain affiliate link for Amazon Prime. Prices subject to change. In the spirit of forced comradery and holiday cheer, the office secret Santa is always lots o' fun. 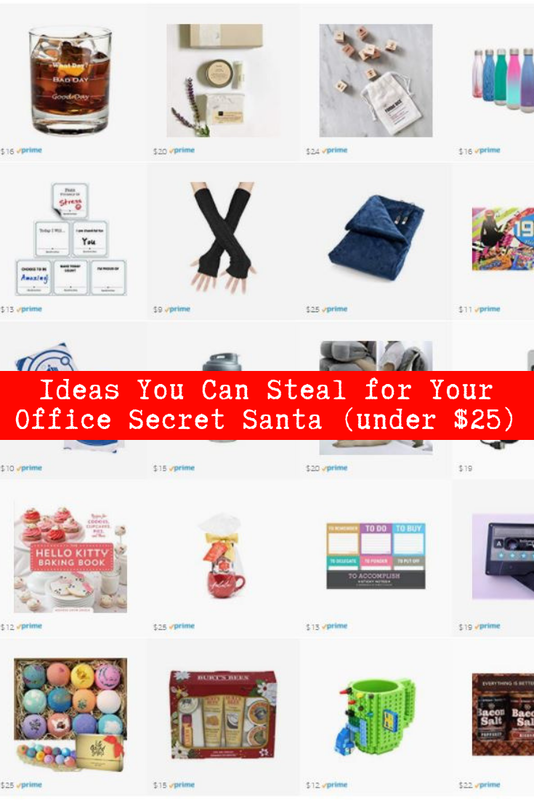 As an office manager, I feel like I may have some wisdom to share on what to buy those hard to shop for colleagues while trying to stay under $25. And, thanks to the wonder of Amazon Prime and other various methods of express shipping you still have time to find, ship and sometimes even have wrapped that perfect gift for that special person you drew in the office secret Santa - even if you never met them. under $25 (for the most part)!